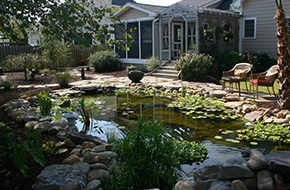 At Hampstead Landscaping Inc, we provide quality landscaping service to clients in Wilmington, NC. Call us for custom design and expert installation of landscape installation, including custom water features, irrigation systems and lighting. 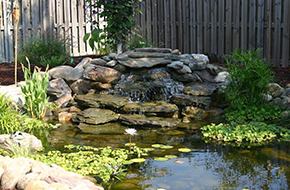 We assign an experienced and talented landscape designer on every Hampstead Landscaping Inc project. At Hampstead Landscaping Inc, we provide expert landscaping service in Wilmington, NC and Tender, Onslow, New Hanover Counties. We specialize in landscape design and have been providing professional services to homeowners in the area for many years. We always deliver 100% customer satisfaction. At Hampstead Landscaping Inc, “We Digg It So You Don’t Have To.” We will take all the work and stress out of beautifying your landscape. All you need to do is sit back and watch us work our magic. One of the biggest advantages of hiring our service is that we help resolve erosion problems that you may not even be aware of. Erosion is a common problem among homeowners; a problem that they either ignore, or simply do not know how to address. Untended erosion can expose the foundation of your home, which leaves it vulnerable to structural damage. As a professional landscaper, we have the skills, knowledge, and equipment to help keep your soil healthy. We build retaining walls, and use ground cover to stop erosion and protect your home. Working with our professional landscaping contractor and designer will also help boost the value and curb appeal of your house. This is helpful if you plan to sell your property in the future. 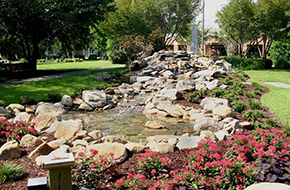 Beautiful landscaping is more than just turning heads or making your neighbors green with envy. Choosing our professional services can help maintaining your landscaping and beautify and increase the value of your home, which is often your biggest investment. Get in touch with us at Hampstead Landscaping Inc today. We are looking forward to serving you.